Mahalo nui for your support! Mālama Honuaʻs sea of BLUE! Mahalo nui loa to all those who supported our efforts in our first STEP towards acquiring a lease with UH CTAHR for space at the Waimānalo Ag station. We are thrilled that the Waimānalo community leadership supports building our permanent facility on the CTAHR land. We still have more work ahead, but for now we celebrate and mahalo all those who have supported our efforts. Please continue to reach out and share with everyone you know about our kula. We will continue to accept letters of support. Mahalo nui loa kākou! 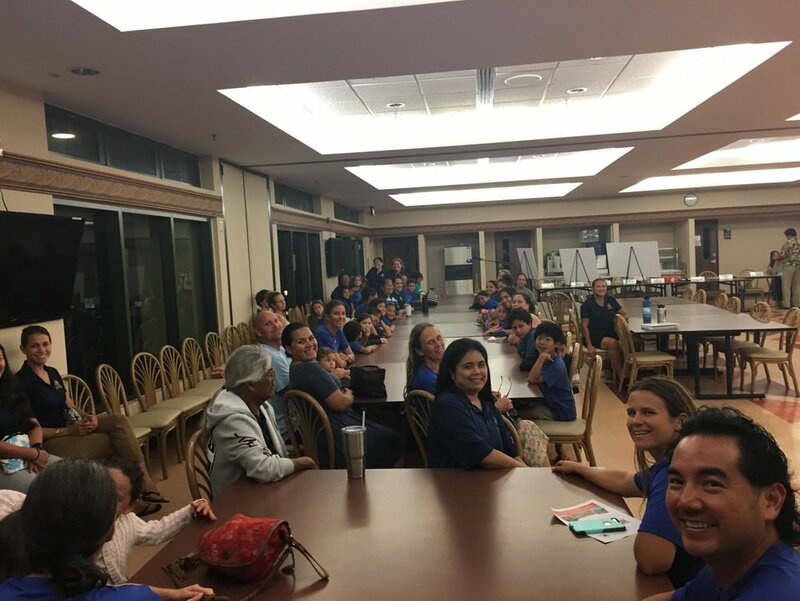 Our keiki and MHPCS community would not be here celebrating if not for all of your efforts. IMUA!